The all-new Mazda 2018 CX-3 is here! This ultra sleek compact crossover SUV comes standard with a six-speed automatic and is equipped with Mazda's SKYACTIV TECHNOLOGY for the ultimate in increased fuel & engine efficiency, taking you as far as you want to go. 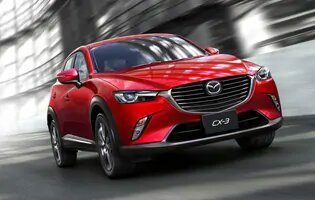 From its luxurious interior with plush 6-way adjustable seating, to intuitive engineering that seamlessly connect you to the technology you need while driving, the CX-3 is intelligently designed with impeccable style and functionality that puts it in a class of its own. 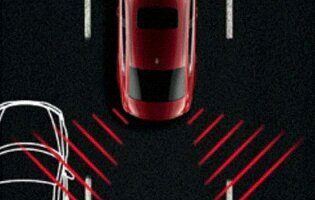 Enjoy push-button ignition to fire up the engine, a backup camera for smooth parallel parking and heated side mirrors so that you're always on top of your driving game. 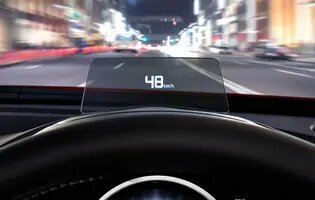 Allow the available Active Driving Display and interactive 3D navigation system to make all the important driving decisions and guide you on the road so that you'll never get lost and arrive at your destination on time, traffic permitting. With the CX-3 you're in control and can easily operate audio and Bluetooth functions right at your fingertips from the center console. Opt for the additional Technology package for Sirius XM satellite radio, adaptive headlights and a head-up display. Add the available All-Wheel Drive for navigating Canadian road conditions and the CX-3 becomes your ultimate accomplice for adventure. Whether you're looking for the right music jam or the right street, the CX-3 keeps you connected and enables you to drive with confidence, comfort and ease.